Lecturer Job Opportunities in Hyderabad : A career as a lecturer requires a graduate-level education, subject-area expertise and the desire to share knowledge. They teach academic or career topics to students pursuing college or university degrees. 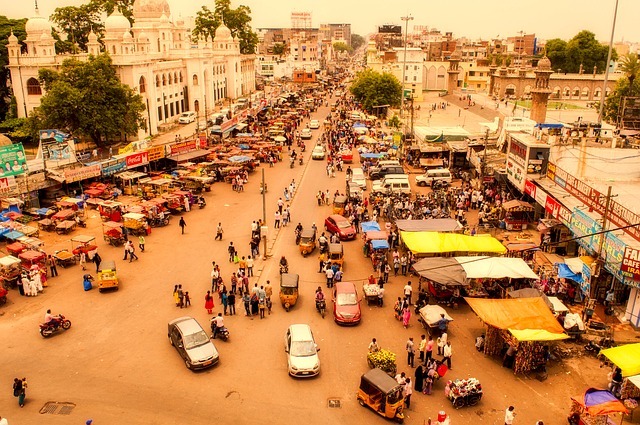 Hyderabad the name sounds historical though but now with the time, it has evolved into an industrial hub and home to many. It is such a place that offers various kinds of opportunities in education, jobs and business. In this article, we are going to discuss the jobs related to lectureships and its scope in this state. What and how to start and where to go, if you have these questions in mind then please go through the content. Lecturers are required to be subject-area experts because they need to have solid insight on specific subjects of teaching and calls for up gradation along with the time. Few lecturers fulfill this requirement by conducting original research as part of a postdoctoral fellowship. Publishing original research in professional journals within the fellowship provides a solid body of work in a subject area. The criteria for becoming a lecturer in private colleges require a Master’s degree and a first-class doctoral degree or have a valid NET/SET score for the govt. or central govt. college based on the discipline. Besides these, the experience of teaching, work experience in the specific field; research and publication gets priority while hiring. The key skills needed are research, critical thinking, communication, writing, and computer skills; knowledge of classroom management with no age bar in most cases. The All India Status of Higher Education (AISHE) report reveals that | Hyderabad occupies the third highest number of colleges in the country. It clocks the third position leaving behind only Bengaluru and Jaipur. As per the annual report, Hyderabad has 487 colleges covering over 90% of colleges those are private unaided colleges. Majority of them offer under-graduate general courses included nursing, agriculture and engineering courses. The districts of Rangareddy have 395 colleges and Nalgonda has 289 coming fifth and tenth respectively. Guntur district occupied the eighth spot with 309 colleges. Thus, it is quite obvious that many opportunities can emerge throughout the region for the lecturer jobs.